Each year the Blue Ridge Corridor Alliance (BRCA) recognizes a visionary development project that supports the Blue Ridge Corridor Plan and makes a significant impact on the local economy and greater Raleigh community. 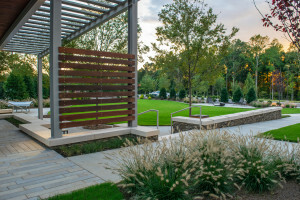 This year 751 Corporate Center in Raleigh, NC has been awarded the development project of the year by the BRCA. The new 92,000 sf office building developed by Highwoods Properties and designed by HagerSmith Design, was completed in late 2018 and is fully occupied. HagerSmith Design PA provided architecture, interior design and landscape architecture services for the project. 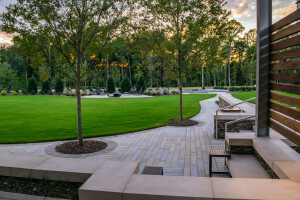 “This was a great collaborative effort by all disciplines of the firm” stated HagerSmith’s landscape architect, Sharron Scroggin. The Blue Ridge Corridor Alliance is an independent non-profit created by a partnership between the City of Raleigh, NC State University and the property owners, businesses and residents of the Blue Ridge Road Corridor in the summer of 2014.